When I saw this awesome idea in a cookbook that I got from the library I was really excited. I thought that I would be able to share something cool and unique for Halloween. Then I got the latest issue of Family Fun magazine and they had gingerbread skeletons in there. Then I knew I was onto something great. The cookbook is called The Secret Life of Food and it was in the children’s section of the library. The book has a few really neat ideas for make food fun for kids. This is the one that I thought was the coolest. 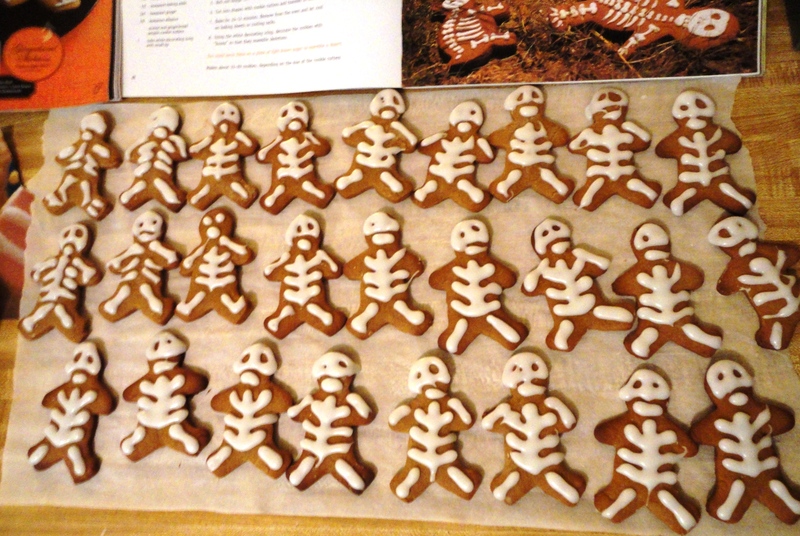 I love gingerbread cookies and I thought the kids would have fun with little skeleton cookies. You can use any gingerbread cookie recipe. I think recipe is a great one because the dough is just the right consistency for rolling out. Cream butter and brown sugar together. Stir in molasses, then egg. In separate bowl, mix flour with spices. Stir in butter/sugar mix. Knead dough lightly, then chill for 40 minutes. Roll out dough, cut with cookie cutter. Bake at 350 degrees for 7 minutes. Large cookies may need more time. Allow cookies to cool completely before decorating. Combine all ingredients and use a decorating bag to pipe glaze onto the cookies. Allow the icing completely before stacking the cookies. These were my daughter’s two favorite cookies. This was my trial run because I’m planning on making these for her school’s Halloween Fun Day. 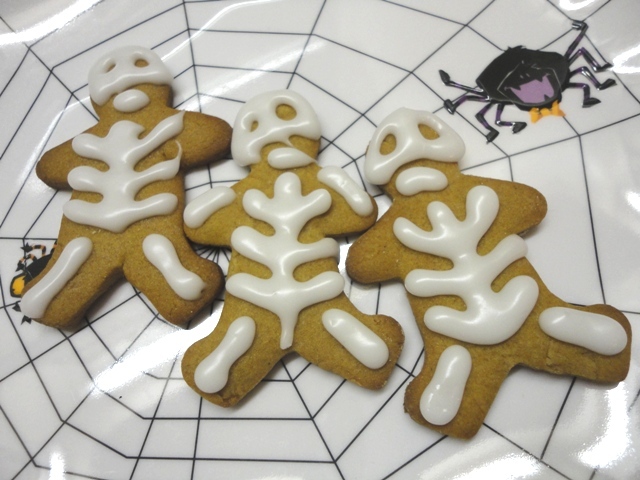 These are so adorable: Definitely going to try them out for this year’s halloween party. Thanks! heck yeah those are awesome!!! Awesome idea for my gingerbread cookie cutter! I haven’t seen that before…how fun! Yours look super! These are absolutely awesome! 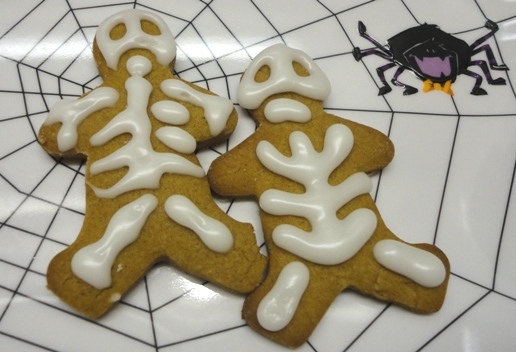 I love Halloween cookies and I’ve never seen a gingerbread version before. It’s brilliant. Great job with all that piping. They look perfect. 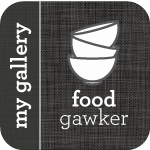 Hi- wonderful post, and I have resolved to try this lovely recipe! I’d love to use your army of skeletons picture in a post tomorrow morning (with full credit and a link, obviously) – I wonder, would you mind? Yes Kate… Go ahead and use a photo and please link back to me. Thanks for asking. I can almost smell the gingerbread baking in the oven. Lovely photos. Might give this a try. I also found you through Kateshrewsday’s link.